The Smackover-Norphlet School Board voted on a new superintendent Friday night. 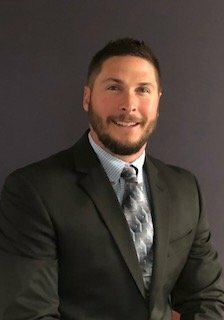 At an open meeting, the school board voted unanimously to hire Jason Black of Hallsville Independent School District as the superintendent starting in the 2019-20 school year. Shortly after the vote, Black accepted the position. Black is currently employed with the Hallsville Independent School District in Texas as the director of special federal programs. The district has seven schools, including a Disciplinary Alternative Education Program school. The district scored an A for the 2017-18 school year from the Texas Department of Education. Smackover-Norphlet’s superintendent search started in September when the district hired McPherson & Jacobson LLC to lead the search. The board hired them for a total of $10,500 to guide the search, vet and present candidates, lead focus groups, help the school board come up with interview questions and work with the school board to establish first year performance goals. At the meeting in September, the board was also presented with a tentative schedule, which was kept, with the school board doing interviews and taking a vote by the end of January. In the beginning of January, the school board was presented with the resume and video clip from six candidates before selecting which three they would interview. Along with Black, the board voted to interview Brett Bunch who is currently the superintendent with the Magazine School District and Dr. Marc Sherrell who is currently the Student Support Services Administrator and Athletic Director with the Lonoke School District. The interviews took place over the last two weeks with Black’s interview taking place on Friday. Now that the position has been filled representatives with McPherson & Jacobson LLC will work with the school board and Black to create a list of performance goals for Black’s first school year. According to the McPherson & Jacobson LLC representatives, Black has worked as a junior high school principal at two other school districts in Texas, but grew up in Shreveport. He’s also served as an elementary school principal and a coach. They said that he is visible in the school and the community. They said Black turned around an elementary school in need of academic improvement. Black is also a former marine.